Bathroom safety and bathtub safety is incredibly important, and is a big concern for everyone, not just seniors. Browse through our bathroom safety and bathtub safety articles to learn more about how you can prevent dangerous slips and falls in your bathroom today! Contact Bathway today with any bathroom safety or bathtub safety questions, or to get a free no obligation quote on a bathtub conversion. With a little effort, you can make the bathroom a safe and relaxing environment for everyone in your household. See how easy it is to get a walk-in tub installed as well as the many benefits you'll gain. 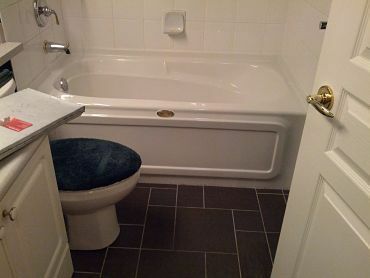 Our experience is that most people understand intuitively that bathtub walls present a difficult and often dangerous barrier for many seniors, and when presented with the situation where a friend or loved one is at risk of a fall, or just can’t get into a bathtub, we know we should do something about it. "The whole Bathway process has been a great blessing to our senior residents. We have already converted a number of our suites, and when I do a tour, many people are very thankful that we have such an option for their loved ones."